They say that the greatness of football clubs is built thanks to the legacy of their great players. That applies to the current stars, of course, but even more so to the legends of yesteryear. One such club hero at Atletico Madrid, Isacio Calleja, sadly passed away last Monday at the age of 82. He is one of the greatest players in the history of the club across 14 successful seasons. Beyond his seven titles and even being the player with the fifth most appearances in the club’s history, he left a unique legacy at the Rojiblancos due to his knowledge, charisma and the hundreds of friends he made from the world of football. Before Saturday’s derby class with Real Madrid, the club will pay tribute to one of their icons. 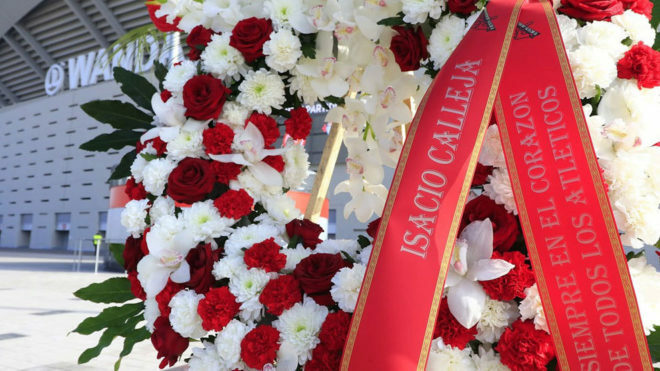 A minute’s silence will be observed in his honour and a wreath will be placed over the Paseo de las Leyendas and fans are invited to visit and honour a true Atletico legend.